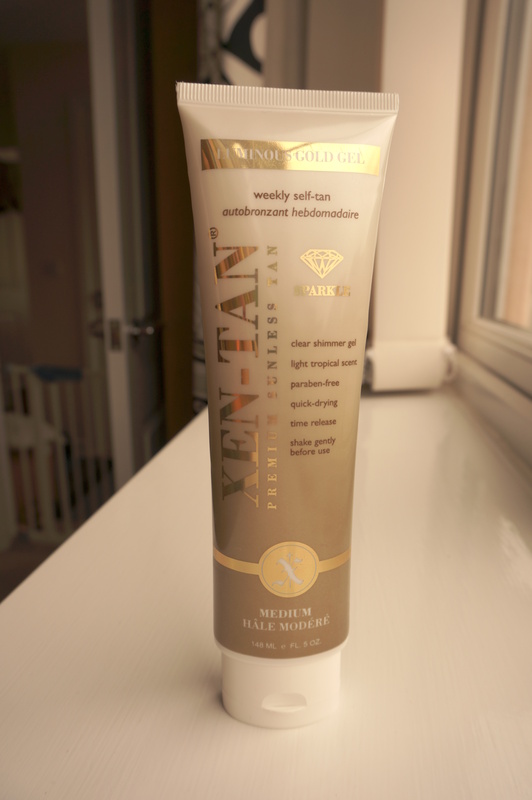 This week I’ve been trialling *Xen Tan Luminous Gold Gel from John and Ginger. I love a nice tan in the summer, I work in an office though so I always fake it. If you’re looking for a new fake tan product this summer hopefully you will find this review useful! So it all sounds pretty good hey! The only hesitation I had was the sparkle. I did have a slight concern that I would end up looking like a disco ball! – How wrong I was! The Application… To start with, I applied the gel with my hands (rather than a mitt, as I don’t have one) and I was really surprised how quickly it dried! I was ready with the electric fan but didn’t need it at all! Also the smell is lovely, kind of tropical with a hint of coconut, and only the vaguest fake tan scent. The gel is clear, so you need to make sure you rub it in well and evenly, as it’s hard to tell where you’ve already applied except for seeing a bit of sparkle. The Results… The tan came out really nice and even except for my thumbs! I think this was when I was eating an apple and some juice dripped on my hands so I wiped them without thinking. 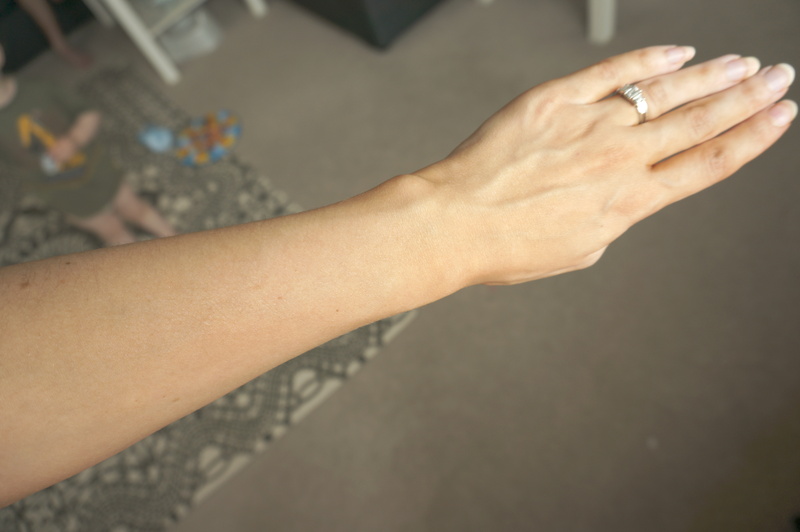 If you check out my latest OOTD post here you can see the rest of me with a lovely golden tan! I have to say I’m so happy with the colour, it’s really natural and healthy looking. I have pale skin so it’s always a worry that I’m going to look too dark! I actually had people commenting at work saying I look well and asking where I’ve been out in the sun! Woo hoo! Previous Post Willow & Clo Sound Waves Collection Competition!